Trash a card from your hand. 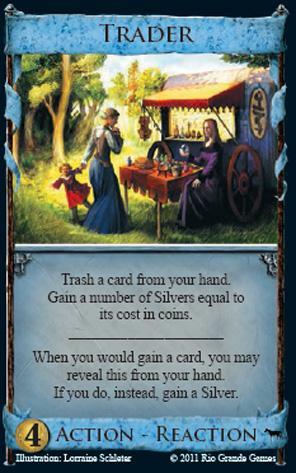 Gain a number of Silver equal to its cost in coins. When you would gain a card, you may reveal this from your hand. If you do, instead, gain a Silver.